There is now a large literature on the gaps between the production of scientific evidence and a policy or policymaking response. However, the literature in key fields – such as health and environmental sciences – does not use policy theory to help explain the gap. 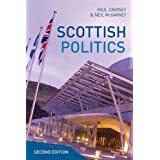 In this book, and in work that I am developing with Kathryn Oliver and Adam Wellstead, I explain why this matters by identifying the difference between empirical uncertainty and policy ambiguity. Both concepts relate to ‘bounded rationality’: policymakers do not have the ability to consider all evidence relevant to policy problems. Instead, they employ two kinds of shortcut: ‘rational’, by pursuing clear goals and prioritizing certain kinds and sources of information, and ‘irrational’, by drawing on emotions, gut feelings, deeply held beliefs, and habits to make decisions quickly. 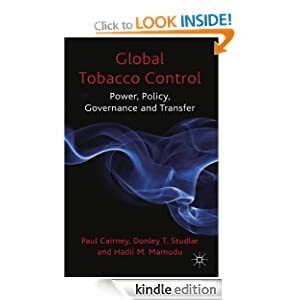 This takes place in a complex policymaking system in which policymaker attention can lurch from issue to issue, policy is made routinely in subsystems, and the ‘rules of the game’ take time to learn. The key problem in the health and environmental sciences is that studies focus only on the first short cut. They identify the problem of uncertainty that arises when policymakers have incomplete information, and seek to solve it by improving the supply of information and encouraging academic-practitioner networks and workshops. They ignore the importance of a wider process of debate, coalition formation, lobbying, and manipulation, to reduce ambiguity and establish a dominant way to frame policy problems. Further, while scientific evidence cannot solve the problem of ambiguity, persuasion and framing can help determine the demand for scientific evidence. Therefore, the second solution is to engage in a process of framing and persuasion by, for example, forming coalitions with actors with the same aims or beliefs, and accompanying scientific information with simple stories to exploit or adapt to the emotional and ideological biases of policymakers. This is less about packaging information to make it simpler to understand, and more about responding to the ways in which policymakers think – in general, and in relation to emerging issues – and, therefore, how they demand information. In the book, I present this argument in three steps. 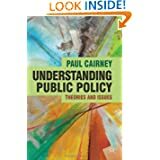 First, I bring together a range of insights from policy theory, to show the huge amount of accumulated knowledge of policymaking on which other scientists and evidence advocates should draw. Second, I discuss two systematic reviews – one by Oliver et al, and one that Wellstead and I developed – of the literature on ‘barriers’ to evidence and policy in health and environmental studies. They show that the vast majority of studies in each field employ minimal policy theory and present solutions which focus only on uncertainty. Third, I identify the practical consequences for actors trying to maximize the uptake of scientific evidence within government. My conclusion has profound implications for the role of science and scientific experts in policymaking. Scientists have a stark choice: to produce information and accept that it will have a limited impact (but that scientists will maintain an often-useful image of objectivity), or to go beyond one’s comfort zone, and expertise, to engage in a normative enterprise that can increase impact at the expense of objectivity.